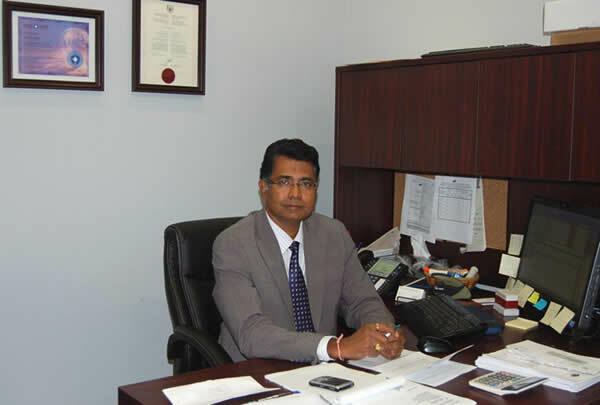 Contact Mr. Ravi Iyer at ravi@universalimmigration.com Mr. Iyer is also Commissioner of Oaths in Ontario. 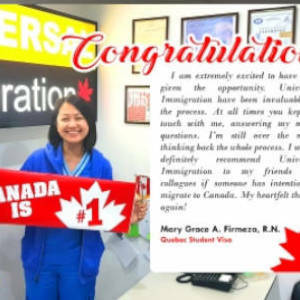 Post graduate Nursing in Canada, student visa approved. We all know that it takes time, effort, patient and a hefty amount of funds to apply for and actually obtain a Canadian Visa. In my case I almost losing a chance because I was denied twice with my previous applications, but a friend recommend me to Universal Immigration. They made me feel confident and took away all my worries, they also helped explain each stage of the process.Thank you for putting up with my 100s of questions and always being so good to reply straight away. I appreciate all your help and would recommend you to everyone I know. With Universal Immigration, dreams do come true. I would like to thank Universal Immigration for this opportunity. You have been accomodating every step of the way. You have always guided me throughout my application. I would recommend you to whoever might be interested as well as wanting to migrate to Canada. Thank You so much. 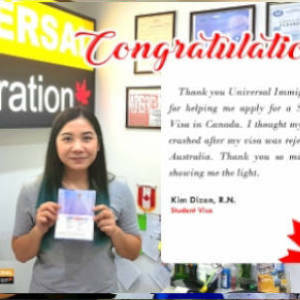 Thank you Universal Immigration for helping me apply for a Student Visa in Canada. I thought my world crashed after my visa was rejected in Australia. Thank you so much for showing me the light. I am extremely excited to have been given the opportunity. Universal Immigration has been invaluable in the process At all times you kept in touch with me, answering my many questions. I\\\'m still over the moon thinking back the whole process. I would definitely recommend Universal Immigration to my friends and colleagues if someone has intention to migrate to Canada. My heartfelt thanks again. I would like to thank the entire team of Universal immigration for guiding us to achieve our Canada PR. The Universal team is excellent, experienced and they are very patient to their clients to solve all the problems and guides properly to submit their file in each stage. A big salute to our team leader Mr. Ravi Iyer and Mr. Amal Singh Badal. We are really thankful to God for getting such a coordinators for us especially Candice Mam and Rajeshwari Mam. Both are very dedicated and efficient in their jobs, they helped us a lot through this entire processing and the response was very quick from these two members. If anybody is planning to migrate to Canada I would like to suggest only Universal immigration. Once again hearty thanks to Universal immigration team..... Thanks a lot... Thanking you, Sincerely, Alby Babu. Thank you universal immigration. I recently got my PR of Canada. I would like to thank the whole team of Universal Immigration and especially Ravi Sir, Sandeep mam and Sailesh sir for guiding me throughout the process. Without their expertise I could not have made it through the process to become a permanent resident. It was so much easier with your guidance and support. I got the right suggestions at the right time from them. Thank you for all the efforts and support and for making my dream come true! It would have not been possible without Universal Immigration. On behalf of my family, I would like to give my gratitude to \"Lexicon Internationals Kochi & Universal Immigration \" team which they led us during 3 years to achieve our family dream by getting the right to live in CANADA (Quebec selection certificate which i received without interview )as a permanent Resident. They gave us continually all the technical & legal support we need in addition to their straight & honest professional advice. Comparing the fees, we pay for the services we get, we consider it more than fair. For sure I will advise anyone thinking to immigrate to Canada to go through all the process with \"Universal Immigration\" experts on immigration matters. I want to thank all the universal immigration staff who has assisted throughout the application for Canada PR visa. It was worth the wait though it took 3years, i really want to thank Annie madam,Ritika from Asha kiran immigration for all their support and guidance. I am lucky and proud as i choose your service. I will tell others to choose your service when it comes for immigration service . Thank you ASHA KIRAN and UNIVERSAL IMMIGRATION TEAM. Firstly I would like to thank the Lord for the success of my application for permanent resident through Quebec selection certificate ( which i received without interview ). My heartfelt thanks to WISE inc CEBU and Universal immigration for their unparalleled efforts towards this great achievement. Indeed they are proficient in this field. A special thanks to Sir Ravi, chief consultant, maam Lorraine Isaacs my coordinator from universal team who had an immediate responses to my queries, to maam Rajeshwari for being so prompt and speedy for any updates. For WIse family especially Ms. Anjelie bacay my local coordinator, maam Genieve for the constant follow up during federal stage, and to maam Kathleen for the final processing of my application. My tremendous appreciation for both teams for their diligence and enthusiasm pertaining immigration application. THANK YOU !!! May GOD Bless us ALL. Manas K - A note of Thank you to the Universal Immigration Team!! I would like thank the Universal Immigration team so much for guiding me on the Canada PR process. Mr. Ravi, Candice, Rajeshwari, Sanjay and the many leaders in the team are so knowledgeable. They have patiently provided me with answers to many questions I had during the process, and reminded me of key activities to complete in time. I cannot think of a better company to go with. Thank you to the team at Universal Immigration!!! I think our case was one of the most difficult Candice and team had to go through yet in terms of inland spousal. In the beginning, It was supposed to be a normal inland spousal application but due to complications, it complicated everything. Everything seemed to be going down hill at several points in the processing. But Candice never gave up on us. She knew our case and specifics even after a long two years. Was always there, never left us hanging in the air. Candice and Mr. Iyer and the whole team, a big Thank you from both Marie and I. I wish you all good health and more power to your team. God bless. Sandeep Kattil - Sponsorship Applications- a big thanks..!!! I Just want to express my sincere thanks to Mr.Varun(Xiphiasis) and Ms Candice (Universal Immigrations) and your entire team for the support and hard work in getting PR for us. Our dream become reality because of your hard work, support, patience,dedication,customer orientation and most importantly your expertise in your job. I just wanted to list out few good qualities I felt should be commended from my association with you all in past 4 years. 1). Promptness in response 2). Availability for clearing queries. 3). Coming up with alternative solutions when some feel that all doors are closed. 4). Injecting optimistic thinking in clients mind by handling cases carefully. With my experience I felt that you all are a great team and achieve many things in your career. Wishing all the very beast to Universal and Xiphiasis team. I would like to express my gratitude to both Xphias and Universal Immigration for their guidance and support to receive my Canadian PR.It is a great achievement for me. I commend the dedication demonstrated by both agencies.I need to specially commend my advisor and coordinator for this process, Mr.Varun. He was very supportive and knowledgeble,and provided me with reassurance and confidence during the entire process stages.Mr.Varun was very patient with me;he listened to me during my brainstorming queries and doubts related to this process.When the process was lengthened by the Canadian Immigration, he was always there to provide optimistic future thoughts.He kept me informed and updated during the entire immigration process.I really appreciate the remarkable, positive attitude and optimistic approach that he always kept.This gives me a great deal of pride to provide his reference to anyone who is seeking Canadian Immigration. Thank you Mr.Varun and your team for my great achievement and making my dream come true. Best wishes! Lavanya - Received CSQ. Dream came true. Am very happy that I received CSQ. My heart full of thanks to entire team of Xiphias who were put their heart to complete my process. Especially am thankful to Mr. Varun who was continuously supporting and encouraging me through out my process. Its been 3yrs of my file sbmission and I was almost decided to discontinue, but at that moment the whole team gave support and clarified all my doubts. I am very very happy with Xiphias. At last my dream came true. Its not my success...but it is the success of Xiphias and am very proud of Xiphias. Once again thanks to Mr. Ravi Iyer, Mr. Habeeb, Mr. Varun and all the each and every person of Xiphias. You people tremendously proved yourself. Rajashekar Chintakunta - Thanks Universal Immigration for making it happen - PR !!! Deepak Bhardwaj & Neha Sharma – PR, Thank you Universal Immigration Hello Ravi & Universal Immigration team, We want to say a big Thank you to you and your team for navigating us through the complete residency process. We received our PR in WK 51 2015 (exactly after one year of applying at Immigration Bureau) and landed in Toronto last week. Appreciated yours’ team support to complete the process!. I must say that your team is fully resourced and has adequate knowledge for the immigration process. On the personal front, I like to thank Ravi for taking my phone calls (even at the odd hours) for attending my queries and resolving them. We wish all the best to the complete Universal Immigration crew. Keep on rising! 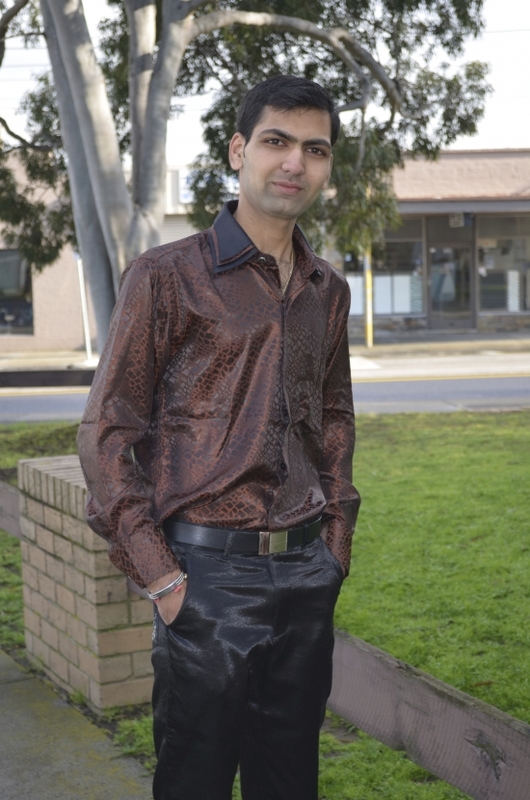 Maneesh Machatte Narayanan - Thanks to Universal Immigration for the excellent service !!!!!!! Words cannot describe how happy I am after getting my PR, and honestly I don\'t think I would have it if I hadn\'t followed Universal immigration advice 2 years ago, they clearly explained what I needed in a professional manners . Many thanks to Habeeb, and the kind people at universal immigration you are simply the best, keep up with the good work. I will definitely refer you to all my friends. A big big thank you to Universal Immigration . My co ordinator Sanjay Adhikari was very helpful in providing legislative information about the case he was dealing with. I could confidently say he is excellent in what he was doing. The best thing is that Sanjay eased my stress to a larger extent by giving me confidence to make it through. I want to thank Sanjay because she was not only a migration agent but also a good human being in understanding my issue. I liked the friendly way of dealing, that eases a client in being normal. From the beginning to the day I got my VISA granted, I could really ease without being stressed because of Sanjay and the Universal Immigration team . I\'m personally gonna refer Universal Immigration to all my friends and known people who are in need of help. Grace K Chacko - Greetings and Thanks !!! 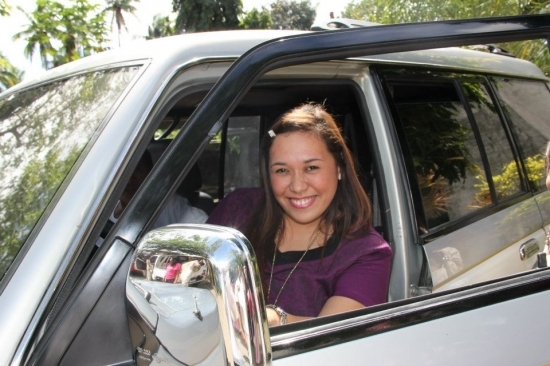 CHERIE ANN FERNANDO - KEY TO SUCCESS DREAM COME TRUE!!! Finally, the long wait is over... For almost 3 years of processing, it is indeed with great pleasure to express the good news that I have finally received my PR VISA. 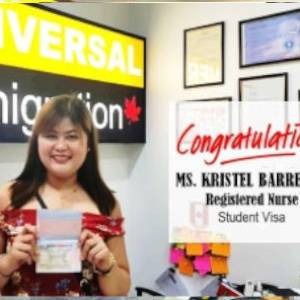 Thank you very much to our Heavenly Father, WISE INC MAKATI & UNIVERSAL IMMIGRATION, specially to my chief consultant, Mr. Ravi Iyer, my coordinator in Canada, Ms. Sangita Iyer, and my coordinator here in Philippines, Ms. Jonnah Pavusan, and to the rest of the staff who helped me thru the ups and downs, of the processing of my application. Since day one, Universal Immigration and Wise Inc Makati helped me to make every step less difficult, and provided me with efficient, honest, and dedicated service with a personal approach.They made sure that all my documents required in obtaining a CSQ and VISA are correct and complete. It was on October 04, 2014, when Ms Jonnah called me and informed me that my CSQ was already issued and that my interview was waived. I was in total shock and couldn\\\'t believe what she said. On July 16, 2015 I received the Medical request, and finally the Immigration Department issued the Visa last January 8, 2016, and stamp on the passport. 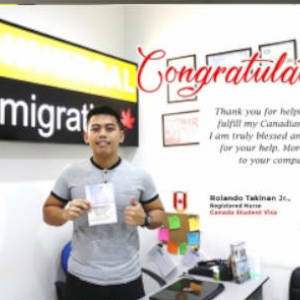 Thank you very much once again to Universal Immigration & Wise Inc Makati for helping me achieve my dream to move to Canada. No words can express how thankful I am for receiving this blessing and for helping me achieve my CANADIAN DREAM! NOUS VOUS REMERCIE UNIVERSAL IMMIGRATION & WISE INC MAKATI. They\\\'re absolutely the wisest choice. Think BIG. Think WISE! Thanks to the universal immigration to help me achieve my dream to move to Canada with my family. It was a very smooth process due to their professionalism and proper guidance. Special thanks to Mr.sailesh and sandeep Saini. I would like to express my gratitude to both Universal Immigration & Xiphias for guiding me to receive my PR. They are professional in every sense. Dedicated Team gives you much needed support to overcome situations we come across while processing our application. Special Thanks to my coordinators. Cheers! I am one of a lot of aspiring nurses who wants to go abroad immediately. Before getting my visa, I have been to a lot of agencies who offered visa assistance. 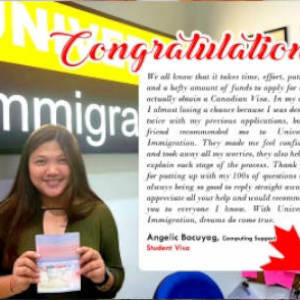 One of the unfortunate events that happened was when I first sought immigration to Canada, I was a victim of an unscrupulous immigration consultant promising an Employer in Canada under Working Visa and yet nothing happened. Thereafter, I tried my luck for a student visa in another immigration agency and still it was very unfavorable – waited for more than a year. They make promises they cannot keep, and take your hard earned money. Until one day a friend of mine referred me to WISE Agency. For 2 consecutive misfortune of getting a visa, I was quite hesitant of trying it out. But because I know someone who already immigrated successfully to Canada through their assistance that prompted me to visit the said agency and give my last shot! A day after we talked, I went to WISE Agency and luckily I got the chance to talk with Sir Ben, Chief Executive Officer of WISE. I confided everything that I went through with Sir Ben – all my frustrations during my application processing with other agencies. Sir Ben answered me, Joel do not worry we will be here to help you with your application. We will be with you every step of the way of your application process – that statement bring me back to life and believe that this company views my trust as a valuable commodity. It was not that easy when I started processing my application. It was not like a bed of roses that everything will turn the way it was planned and in only a small span of time – Voila! You will have your visa. But… I never give up because I believe that attainment of success have to go through a whirlwind of frustrations and struggles. There is no success without hardship. “If at first you don’t succeed, try again.” – Sometimes you may feel like that is just a saying, but it is absolutely not. Why? It is simply because … Few years after resilient and scrupulous application processing – THE LONG WAIT IS OVER – Finally, the visa is in my hands!!! (I closed my eyes, begun to pray then tears of joy dripped down my eyes) Proudly I can say that I have made a very WISE decision of choosing and trusting WISE Agency in cooperation with Universal Immigration as my Immigration Consultant. I could not thank Sir Ben enough for the assistance and words of encouragement. To Ma’am Jona – for being so accommodating with me every time I went to the office before when she was still assigned in Cebu and for helping me always whenever I have a challenge with my application – she is just a call away. To the Universal Immigration Team (Sir Ravi, Sir Shekhar, Sir Karthik and Ma’am Lalitha) – they are very patient in responding to all my email queries. To Miss Genevie – she is just so kind and very considerate; whenever I am feeling frustrated because of the turnout of events and mild tribulations she never failed to encourage me and keep going. To my Parents – they are always there for me especially in providing financial assistance. 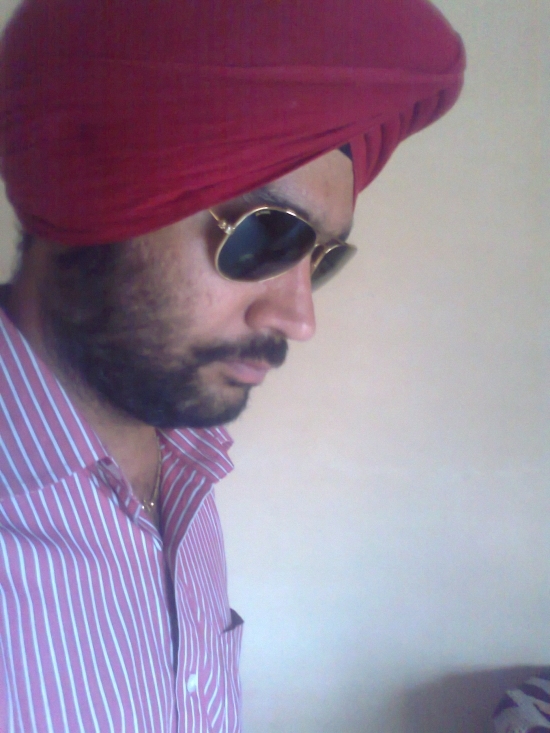 Now I can say God has really a perfect timing for everything – never early neither never late. It takes a little patience and it takes a lot of faith but it’s worth the wait. To WISE Cebu and Universal Immigration – I thank you from the bottom of my heart for making my dream become reality! I dont have any words to express the happiness, Through tbe dedication and hard work of Universal immigration i got My CSQ without interview.Especially i want to thank Mr Ravi Iyer sir & Ms.Vidya my cordinator for clearing the doubts then and there. I am recommending Universal immigration for hassle free immigration. It was my dream to get settled in a foreign country. Once I landed in Canada under students visa, I realized there are lots to pass through to attain my goal. My sincere thanks to Mr.Ravi Iyer and to universal immigration, for guiding me through all my immigration requirements. 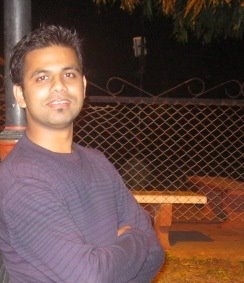 All the advices given by Mr.Ravi was very helpful and perfect for my situations. The staffs are proffessional and dedicated. I specially thank Ms.Veidhya to help me through my LMO application, and to Ms.Sandeep for all your patience and guidance to attain my PR through Express Entry. I would happily reccommend the servicesof Universal Immigration to all those who like to settle in Canada. I once again thank Universal Immigrations for helping me to achieve my goal. \"THE ESSENCE OF ALL BEAUTIFUL ART, ALL GREAT ART, IS GRATITUDE\" Thankyou YOU GOD. I want to express my heartfelt thanks to the Universal Immigration Team,and Lexicon International. A special word of thanks and enormous gratitude to Mr. Ravi Iyer and Mrs.Lalita Vinod for this great achievment, making a dream come true ,it would have not been posible without their help and support. I got my CSQ without any interview,and now here I stand eagerly waiting for my Visa .My sincere appriciation towards all the team for their hardwork. THANKYOU ALL. I am really happy to say that I got my permanent residence in february of 2014 through universal immigration. It would have been difficult to achieve a valid status in Canada without universal immigration. The professionals working in this firm are so honest and enthusiastic. The process was smooth. Universal immigration offers quick service. The moment they heard back from CIC, they will inform us right away and even requests us to be quick.. I would recommend everyone to apply through universal immigration. They will make easy process for us..!! Bonjour tout le monde! One of my close friend talked to me about a good immigration consultancy. I was very interested to know until she introduced me to WISE Consultancy. When I went there I was overwhelmed by their services on how they cater their clients and explaining the proper immigration procedures with the help of the Universal Immigration. At first, I was doubtful to pursue due to some reasons like studying French because it\'s difficult in my part to study and to take care my family especially I\'m having two kids. Thank God that I was able to pass French exams. Second week of September 2013 I received my file number, then five (5) months after, it was really a God\'s wonderful gift that they announced I was one of the applicant who received the CERTIFICATE DE SELECTION DU QUEBEC (CSQ) without interview. Finally, our Canadian Visa has arrived. Thank you God! I would like to thank all the staff of Universal Immigration especially my coordinator Ma\'am Sangita Iyer and Ravi Iyer. I thank also all the staff of Wise Consultancy especially Sir Ben, Sir Jonathan, Sir Dinnes, Sir Ralph and Ma\'am Genieve for assisting me all throughout my application. I never regret in entrusting my application in Canada. I salute you Universal Immigration and Wise for the excellent services you had given me despite of all my queries you had been patience and approachable in answering me. I will recommend to all of my friends your good services. Thank you very much for making our dreams come true. I hope you will persist to help others to fulfill their dreams. To God be the glory. I recently became a Canadian Resident, thanks in part to Candice and Ravi Iyer at Universal Immigration. This process was very smooth and painless because of all the attention to details by Universal Immigration. Candice kept me informed and updated during the whole process. I was able to reach out to Mr. Iyer with any questions i had. He was very knowledgeable and listened to all my concerns. I appreciate Universal Immigration for their due diligence in this matter. i am very grateful to the universal team especially to Ms. Candice and Ms. Rajeshwari who tirelessly facilitated my application for a PR in Quebec. Finally, the much awaited visa is in my hands and thanks to you for helping me achieve this dream. It would have not been possible without your constant help and follow ups with my application. It was indeed a great decision that I entrusted you my dreams. I just wish you more power ang God speed. Thank You for a million times. I am and my family is saying this with proud that the other name of universal immigration is \"FUTURE BUILDER\". I am the first person from ARMY MEDICAL CORPS (INDIA) who got the Permanent residence on the basis of my nursing studies from army and it has became possible only because of Universal Immigration. 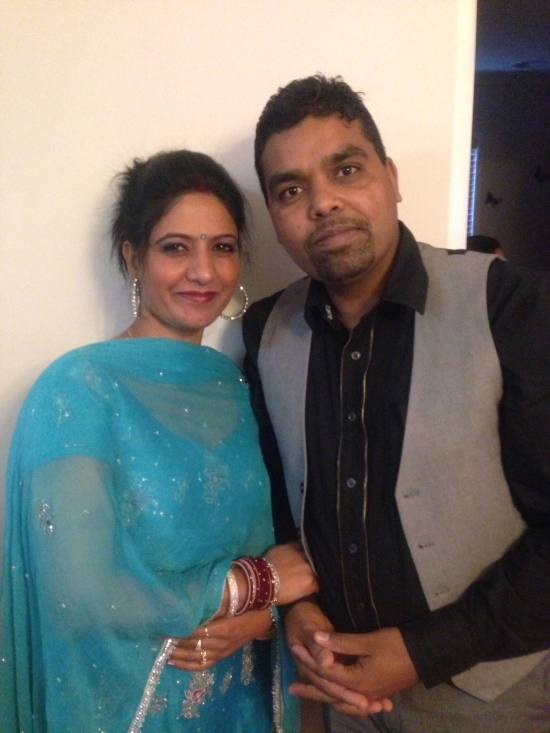 We always remain thankful to honorable Ravi sir ,Sangeeta Madam & Mr. Jatinder Mahajan.Our experience with Universal Immigration was as same as our experience with our own family.We are very much impressed with the way universal immigration deal their clients ,their step by step guidance ,their originality.We are very happy to share our experience.Once again we are thankful to universal immigration. God bless you all. I would like to say thank you to all members of universal immigration especially Ravi sir and sangita mam. She helped and guide us to achieve this goal n dream. She give the prompt replies for the requirements thanks again. Finally !!! The much awaited moment has arrived I have procured my visa to canada. I\'m very happy to share my experience !!! After my graduation, I had an intention to go abroad. Canada !!! Its my dream from my childhood. I found Universal Immigration by the reference of my friend. It was the right decision by me to prefer Universal. universal helped me in each stages of migration process and thus i could reach my Dream Destination easily. Mr. Ravi Iyer and his team helped me for my documentation works and it was because of them i could complete the files and submited it Before time. 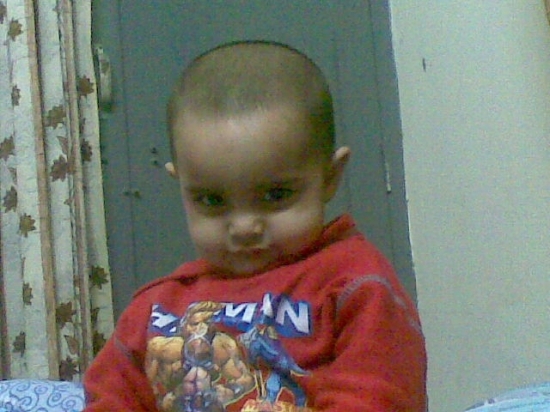 Now Its my Turn. I\'M going to fly canada on November 20th. My Sincere thanks to Universal Immigration to change my life to higher level and special thanks to Mr. Shekhar Pant. Now I can tell that \'UNIVERSAL Immigration\' is one of the best and Leading Team for migration process. So I recommend Onliners; make use of this service and Oppertunity. I am very thankful to Mr. Ravi & his team to help me to get Permanent Residence Visa under Skilled worker category. I saw advertisement in our community magazine & contacted to Universal Immigration. I never thought of getting such a great, reasonable & hurdle less service. I got my immigration very smoothly. I would like to recommend everybody to take Universal Immigration services for peace of mind. I wish Mr. Ravi & his team a best luck & keep up the great work. I have immense pleasure in informing u that my visa application got approved. I would love to express my sincere gratitude for all those great deeds that you have done concerning my admission in Fanshawe college. 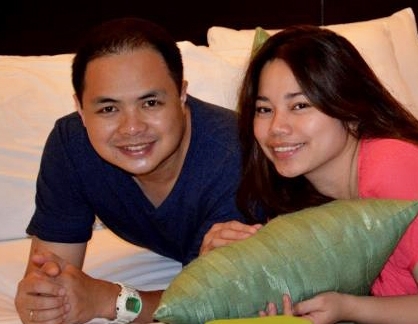 I owe you a lot for the guidance that you have kindly granted for the procedures of my visa application. I was able to get through all those procedures in the concerned time which would have been impossible without your kind support. Once again I express my heartfelt gratitude for all those things that you have done in making my dreams come true. Universal Immigration helped me to bring back my dream which was falling apart to reality. I am very grateful to Mr.Sourabh who assisted me from day one till today. Being a very prompt person and his positive attitude towards the dealing of my application was remarkable. Even at times when I almost felt like giving up, he supported me with all the necessary guidance and support. Once again I thank you Sir, and all the people who were working behind the scene for my visa to come through. I would without any hesitation recommend Universal Immigration to all my friends who would want to go to Canada. God Bless you all and keep up the good work. Mrs.ArunaBoopathi - Finally, dream comes true!! We received our PR visa last week in an amazingly. Finally, dream comes true!! I wish to thank your entire team for making our dream a reality. I really want to express my heartiest gratitude towards Mr. Sambath Kumar,and Mr. Ravi Iyer & Mr.Senthil(Auditor)&Mrs. Sangeetha Iyer. All the paper work, advices, what need to do and all those stuffs were fabulous and on time and due to which one of my long term dream of becoming a PR of Canada has come to true. There were so many queries regarding each and every step and sometimes I was very impatient about those one also, but Mr.Sambath Kumar & Mr.Senthil (Auditor) resolved each and every one patiently. I never found any communication gap and I have got the quickest response for all my queries The journey with Universal Immigration has been a remarkable one and therefore I would like to recommend to my friends. Thanks again and Best Regards, Mrs.Aruna Boopathi. I got successful in obtaining the CSQ. It is a great achievement for me. I am very thankful to Universal Immigration & its staff especially to my co-ordinator Shekhar Sir for the excellent services that he provided to me. When I planned about Quebec immigration at that time the validity for my ielts was only left for 28 days but the prompt guidance, accurate information and valuable support from you all helped me to submit my initial application on January 4th and my IELTS expired on 23rd January. I got my file number by March 2nd then within a period of 1 year I got my CSQ. Lot of preparations as per guidance given by Universal Immigration and up to date information enabled me to perform well. Mock interview conducted by Ravi sir was very useful. Thank you to you all for all the support and excellent customer service. Clarie Ann Cagoco - Merci pour tout! MAY 8, 2013 - The day that changed my life forever. For me, it was not just an ordinary day. It was a PIVOTAL moment. Whatever happens that day could either make or break me. So many things are on the line that all I can do is close my eyes and pray for the best. As I was waiting for my interview, so many things flashed back before my eyes. A year ago, everything was completely different. I was on the verge of giving up then. Just like any daughter who wants to give her family a better future, I have tried my best to do everything that was necessary; taking exams, finding agencies that can help me live my dream, even putting on hold any personal interests of mine. Unfortunately, it seemed that every effort I made then were futile. I was at my weakest. Until, I decided to come along with my parents to Camiguin. That was when it all started. I came to know WISe, Inc. and Universal Immigration through Sir Ralph Caiña, who happens to be my third-degree cousin. At first, I was hesitant considering all the bad experiences I\'ve had before. Aside from that, after telling me that since they are offering Canadian Immigrant Visa through the Quebec Skilled Workers Program, I have to learn French. FRENCH. I know learning a new language, let alone French, can be difficult. But, all of the negative thoughts I had eventually disappeared when I saw all their record of achievements. I also read reviews from different forums on the internet and a lot of people are saying good things about them. I immediately commenced my application with them through Skype conferences and emails since their office is located in Cebu City and I live in the Davao region. The first few stages, especially the gathering of documents, were gruelling. But the all the staff was so accommodating to my almost unending queries and helped me achieve everything as soon as possible. 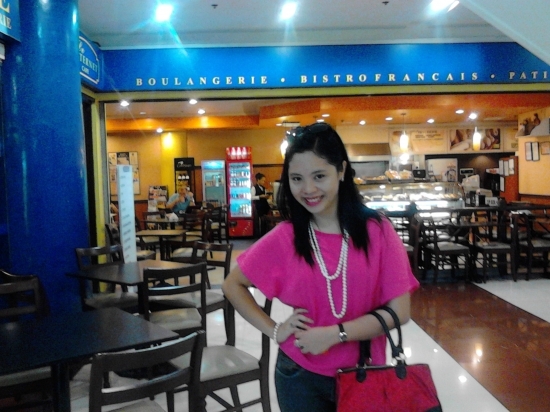 While waiting, I started learning French through online classes, reading books and listening to French music. Five months passed, I got my file number from the Visa office. After another two months, I got my notice for interview. It was that fast. Actually, I was shocked with the sudden surge of news. Coupled with prayers and determination, I immediately took a French exam three weeks prior to my interview, which I am blessed to have surpassed successfully. And the moment has finally come –The day of my CSQ interview. I was lucky to have my interview in Cebu. I heard it was the first time the BIQ-Hong Kong has decided to come to Cebu to conduct the CSQ interview. I know I prepared well. I studied everything I can about Quebec, made extra effort to learn French through supplemental one-on-one classes with a native French speaking teacher. Yet, I can’t help but feel butterflies in my stomach. This is it! I’ve worked and prayed so hard for this moment to come. As I waited on what has to be the longest day of my life (waited almost an entire day for my interview), The Immigration Officer arrived and the interview began. He first told me what should happen during and after the interview, then he asked for some of my original documents such as passport, transcripts, and etcetera. Afterwards, he assessed my French abilities (He asked, in my case, only basic questions about me) as well as my knowledge of the Quebec province and the licensing process for nursing there. After just over half an hour, he gave me the positive verdict and printed my CSQ on the spot. That was the most exhilarating feeling ever! Finally, I am going to QUEBEC, CANADA! Truly, a ONE BIG LEAP towards my Canadian dream. I can’t thank WISe, Inc. and Universal Immigration enough. Their combined tireless efforts as well as their genuine and trustworthy service are truly commendable. To Sir Ravi, Sir Shekhar and Ma’am Lalitha, my Canadian coordinator of Universal Immigration Canada; To Sir Ben, Sir Ralph, Ma’am Jonnah, Ma’am Gen, Ma’am Leah and to all the kind staff of WISe, Inc. Cebu, JE VOUS REMERCIE BEAUCOUP POUR TOUT! Kudos to everyone! I take pride of being their first ever successful applicant in the Davao region and I am encouraging everyone in Davao to apply through WISe and UI.. They are truly experts in their field. I would like to thank, Universal Immigration Services, for helping me obtained my Canadian Student Visa. For the untiring support during the process. To Sourabh Kohli for the assistance in obtaining the school offer and entry, with your personalized approach, things have been easy for me; to Ravi Iyer, for the valuable information that you shared, answering all inquiries and allaying my fears about the process, you\'ve opened up my horizon for the different options. To World Immigration Services (WISE) Inc, for walking me through each step of the process; to sir Ben, for the professional advice; to Mam Leah and Mam Jen for helping me out with my documents. To EVERYONE, my undying gratitude. Brendon Martin Borgonia - Salamat kaayu! I would like to extend my deepest gratitude to Universal Immigration services particularly to sir Ravi for providing us with valuable insight on matters pertaining to immigration and most specially to sir Sourabh for his patience and dedication in facilitating our communication with the school as well as matters concerning our visa and for guiding us every step of the way on our first few steps here in canada. I would also like to thank their partner Wise Immigration Services in the philippines and all their staff; to Sir Ben who worked tirelessly in assisting us from the start of our application process up to the time we left for Canada. I would also like to thank mam leah for her tireless efforts in making sure all the documents we presented were in good order. To my IELTS instructors for helping me sharpen my english language skills and bolstering my confidence prior to the exam. 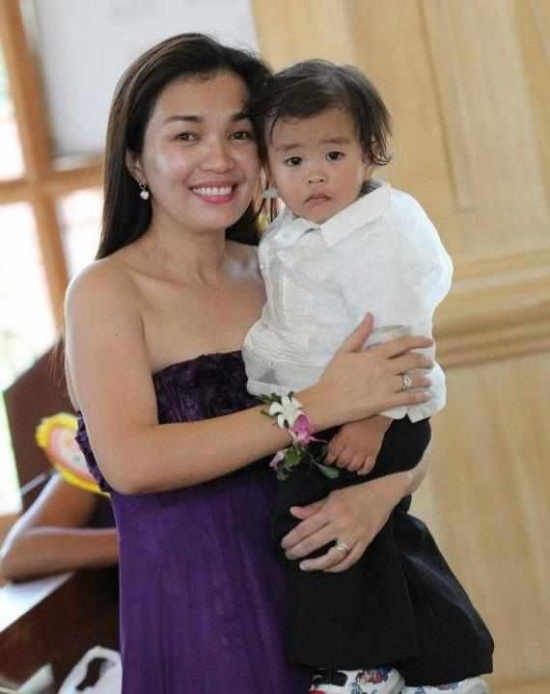 ryan soriano - Maraming Salamat! Tank you! 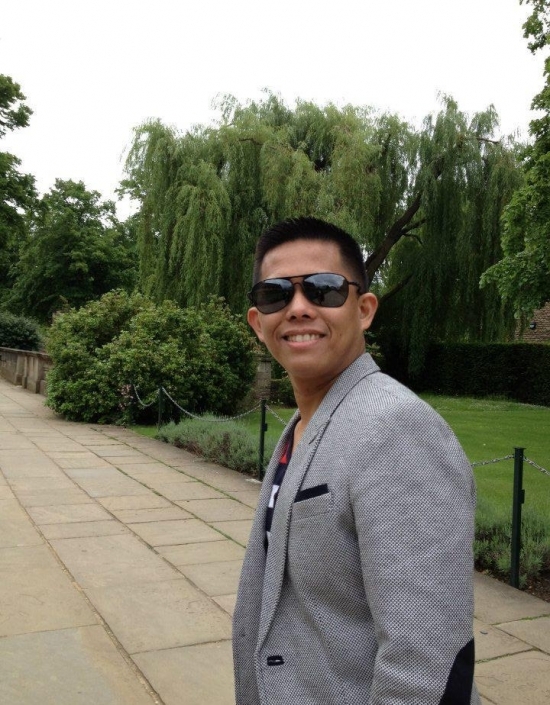 I would like to thank Universal Immigration and their subsidiary in London and Philippines, the Wise group. Through them I was able to achieve my dream of coming here in Canada. No, me and my wife are happily fulfilling the life that we have always imagine. We are now a permanent resident here in Canada and hopefully in the next few years get our citizenship. I hope that you will also continue to believe and achieve your goals of coming here or in other country and they can help you with that. If you wish to obtain the services of Universal immigration and their partners, I can assure you that your application with them will be smooth and they will guide you along the way. Thank you Universal Immigration and Wise Inc. Godbless! Harinder pal Sahota - Thanks! 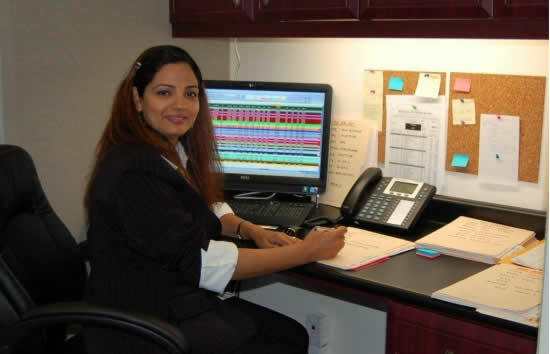 I would sincerly thanks to Universal Immigration team members & specialy to Sangita mam which processed our Immigration file to canada in better way from beginning to the end Bcz there are many crook agents which are hungry only for money & duped the innocent people & destroyed their dreams also but like Universal Immigration truthful agents are still alive which saved their profession through her better services.Finally wish you all the very best. May God bless them success in future. Stella Sanchez - Wise and Universal Immigration are Best!! 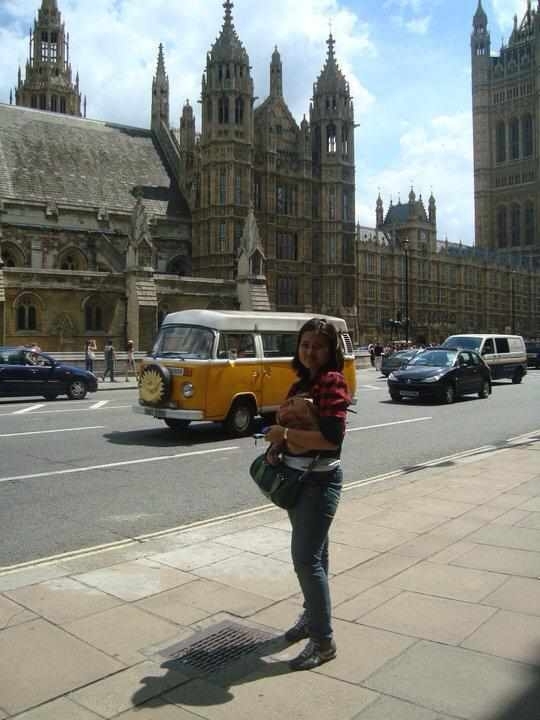 I was in London that time looking for an opportunity to permanently stay abroad. I saw an add about live in carer for Canada. I tried to research with the help of my cousin Genny Barnett to look for a consultancy that will help me get a Visa to Canada and we were able to find the Universal Immigration. Working with Universal Immigration was great. They are very supportive all through out the process of the application. They also supply all information that you need to know. my CSQ was granted and I\'m just waiting for my Visa. Thanks to my cousin Genny and to Mr. Ravi Iyer and his assistants (Veidhya Pradeep Kumar and Lalitha Vinod Kumar) and to our Heavenly Father. Its been 3 days now.It was a difficult moment in Airplane but people are very friendly.A lady sitting next to me was very caring and helpful.Mr Vijay and Mr Govin are very good and friendly,they are helping us out like picking us in airport,finding an accommodation, getting SIN card,etc. Thanks to all the members of Universal immigration for helping us once we reach our destination. Where we see new people,place. Have no idea what to be done when we reach. We say thank you to Mr. Vijay and Mr. Govin also alot.Yes it takes time for us to get Medicare and SIN card because we need a lease but being patient is all we need to get our SUCCESS.THANKS to all once again By Tintu Mol and myself. When many of my friends were settling abroad, I too dreamt that one day I will also settle abroad for the betterment of my children. This would have been a dream but for Universal Immigration. Mr Ravi Iyer and Ms Veidhya made my dream come true with their unrelenting efforts and sincerity in their work. I still cannot believe that I have started a new life in Canada with my family. I would like to make a special mention of the services of Mr Sampath, Campus Financial who was a friend, Philosopher and Guide throughout the application Process. He took care of the very minute details of the application and was always available for any clarification. His experience will help a lot of people like me to have a safe immigration process. Hats off and a heartfelt thank you to Team Universal immigration!!! That, is exactly how I would like to describe my experience with Universal Immigration. From the beginning to the end, the professionalism, the expertise, knowledge, and promptness helped make my process pleasant and uneventful. Ivy Henson - Great Job Done!! I had my migration plans laid out since 2007. I was still studying nursing then. After graduation, i realized that I had to have working experience to be qualified to work abroad. So I have to suspend my plans temporarily. I accepted whatever opportunity there is even without pay. For 2 years, I have been a volunteer nurse for the sake of my dream. Having enough experience, I thought I can apply for abroad through an agency. Many agencies are very attractive but so expensive to think its not a permanent residency but only working or student visa. Anyways, Universal Immigration came into picture through WISE agency. The thought that I will become a citizen made my mind clear. This is what I wanted although some things were still hazy and confusing. Ofcourse, the whole journey was not without setbacks. I had to study French, pass IELTS again, (the 4th IELTS exam since I applied for Student Visa New Zealand). I remembered, Veidhya told me not to form any opinion but just to wait patiently for their further instructions. I somehow felt reassured, A big thanks to the Universal Immigration Team as well as the WISE family for all the advices, coachings, tips and constant look out for my application. It was well done and worth the wait. I will be forever be grateful!! We had approached many agents for immigration and were misguided by many others but when we came across the chief consultant & Director of Universal immigration, Canada, Mr Ravi Iyer, we knew that we had come to the right place. Mr. Shekhar Pant, our coordinator and processing officer represented and guided us right from the day one till the completion of the process in getting the visa. I and my spouse Victor Paul Raj sincerely appreciate their whole hearted efforts and professionalism in handling the case and being instrumental in getting us the visa to canada as PR within 8 (eight) months. They were always available to advice and guide us . We are always indebted to them and may God bless them in the future endeavours. Rialyn Domingo and Jigfred Palma - Achieving our Canadian Dream!!!! It is indeed a great pleasure express the news that we have got our visas. We consulted many immigration agencies when we planned to migrate to Canada but chose Universal immigration finally. Thanks to Mr.Satish and Mr.Ravi Iyer who gave us the confident to proceed further in immigration through their initial talk with us. We would also extend thanks to our co-ordinators Mr. Shekar Pant and Ms.Lalitha, who never failed to respond to our queries when posted to them. Last but not least our sincere thanks to Almighty who made our combined efforts to reach success. Whenever you think of migrating - think Universal immigration. Nina Jane - IT REALLY FEELS SO GOOD WHEN YOU SMELL THE WORD SUCCESS! 20 June, 2012 - CSQ First and foremost,I wanna say thank you so much to all the staff of Universal Immigration and to Wise Inc. esp.to our Chief Consultant Ravi Iyer and to my coordinator Ms.Rajeshwari for providing the highest quality service.And also to Mr.Ben Ryan Ybanez for patiently guiding us all through out. 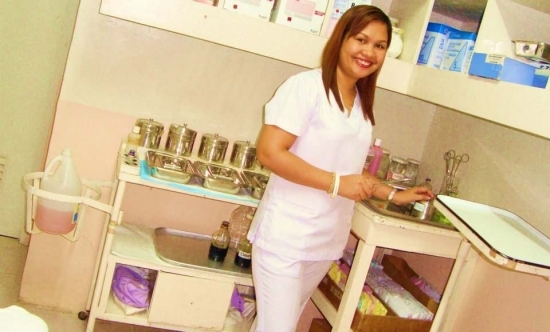 I am single,23 years old and currently working as a volunteer nurse in Vicente Gullas Memorial Hospital. I got my CSQ last June 6,2012.When I entered the room,I was shaking,don\'t know what to do but the visa officer just smiled and i felt he was really not intimidating at all.He then asked me personal questions in French but most of the conversations we had was in English. After checking the documents and asking several questions,he showed me my score.I wasn\'t expecting it,I really cried then he went outside the room and handed me a tissue but surprisingly,he cried too.Well,I guess it was absolutely a tear of joy and the sacrifices and prayers are all worth it. Ryan Tan Ebuna - Nous vous remercie Universal Immigration! 20 June, 2012 - CSQ The moment my wife and I decided that we want to migrate to Quebec, we knew that our immigration plan doesn’t happen overnight but rather it is a well prepared plan, a step by step process in order for us to achieve our dreams. Since day one, Universal Immigration and Wise Inc. has helped me and my wife in manys to make every step less difficult, providing efficient, honest and dedicated service with a personal approach. They made sure that we had the right and complete documents that made the whole process in obtaining a CSQ absolutely fast and smooth. I sincerely wish to thank Sir Ben from Wise Inc. as well as his staff, and Mr. Ravi Iyer of Universal Immigration for his leadership and reliabilty; Miss Candice Krishnan who never fails to respond to my inquiries and accommodates my skype calls, and of course to my hard working and patient coordinator, Ms. Rajeshwari, Je vous remercie! Universal Immigration is absolutely the Wise choice! 16 June, 2012 It is always inspiring and exciting to hear/read client\'s testimonies who are now embracing their greater success. I, myself is one of the aspiring clients from Universal Immigration. Obtaining my CSQ on the 4th of June 2012 was indeed a nerve-wracking. I went through lots of preparations and heaps of prayers but with the help of Universal Immigration, my dreams have become to reality. 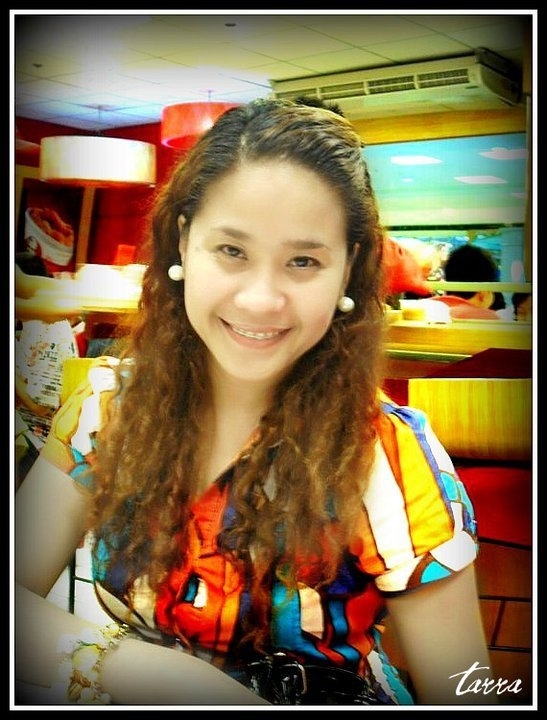 Through their utmost sincerity, client-centered and for believing in my capacity were definitely the key to my success. D\'abord, I would like to extend my appreciation to Wise Inc, esp. Sir Ben and with his dynamic staff whom firstly introduce me to Universal, without them, I wouldn\'t be in good hands where I am today. Alors, to my ever supportive and patiently guiding me, my coordinator Mr. Karthik Srinivas, I salute you. Through his dedication to his work, he remarkably satisfied me with his promptness and determination. Kudos to you Monsieur Karthik! Donc, to Ms. Candice who assures me continuously and renders her services keenly. Finalement, two-thumbs up to our Chief Consultant Mr. Ravi Iyer for his enormous generosity as he chooses to help Filipino Skilled Workers to bring out our full potentials in our chosen field. As to face greater opportunity and wider expectations, I would always, always, always remember those people who have helped and believed in me. :) I commend Universal Immigration as our stepping stone towards positivity and favorably desired outcome for our future. Just believe and be wise! A big hurray to all of us! More power to Wise Inc. and Universal Immigration for a job well done!! Godspeed..
Vin and Cris - Great!!! Universal Immigration has helped us with 2 visas for immigration from India to Canada � a student visa and spousal immigration visa. While other immigration consultants made the process appear to be more difficult and expensive than it actually is, we instantly felt Universal Immigration were the people to work with for our visas. Working with both Sailesh and Ravi has been comforting and not stressful at all. They are wonderful persons for sure, always responsive with their communication. They make the process appear seamlessly easy. Do listen to their advice coz by now they�re so experienced, they know it all. We sincerely wish them all the best in their business. We hope that the underlying values on which they operate remain as sincere and client-oriented as they succeed and become global. We would definitely recommend anyone who needs to use their services. I find myself extremely happy to have my Canadian Immigrant Visa in less than 9 months in which I hit the target date. I am earnestly grateful for this wonderful achievement I have received because I am very sure of the people behind this. I have no hesitancy in choosing Universal Immigration because i knew from the very start their utmost experties, credibility, reliabilty, act of professionalism, motivated individual, competency, promptness and client-centered. I would like to express my enormous gratitude to Ms. Sangita who is responsible of my immigration file application. Her knowledge and skills are tough enough which I appreciated tremendously for the success of my application. Being systematic in format, cues are clustered, focus on goal to reach the visa, action & responding until reaching the finale of client status. I\'m also thankful to Mr. Ravi Iyer, chief licensed consultant; for the open door opportunities of nurses here in the Philippines. You are such a blessing to us that we know you whom you introduced the Nursing Program offered by Quebec Government.You help us fulfill our Canadian dream. I\'m very inspired by the wit & dynamism of your services. This is a testimony of dedication to a quality immigration services. To Universal Immigration and Staffs, I salute you! Keep it up! Trusting Universal Immigration is what I believe to be the wisest decision I have made in realizing my dreams of immigrating to Canada, Quebec. Looking back from the time when I was just starting my application, I can truly say that everything went fast and smooth. I greatly acknowledge the people behind Universal especially Mr. Ravi Iyer for his credibility as the Chief Consultant; Miss Candice Krishnan for her continuous guidance all throughout my application and Mr. Karthik Srinivas for his prompt response and assistance. Their expertise, professionalism, transparency and promptness are the main factors why I can say that they are outstanding and reliable. I am confident in recommending Universal Immigration to my friends and to everyone else who are hoping to make their dreams into a reality. Thank you to Universal Immigration. I wish them more success! Hi, it is in true as well as heart wish words that we are having a great support by the team of universal immigration Canada , mr Ravi iyer and ms veidhya are going to turn my future in success with their real efforts, for my Canada PR, wishing them best luck and god bless. it was a tremendous success to forward my application for permanent residency here in canada to universal immigration. 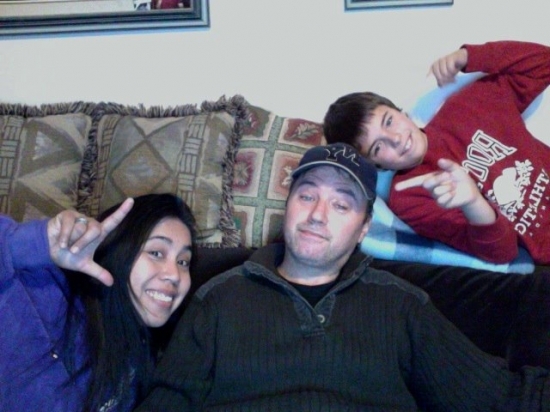 it\'s been 5 years before i able to finally met my husband\'s family here in canada. within a month and a half of waiting, finally, my dream has come true. all i did is wait for my papers to be delivered at my home back in the philippines. all i can remember is just send out what papers they need and they did all the work for me. time flies and i am on my first year here as a resident of canada and i can\'t stop myself from thanking this people behind where i am right now and meeting every member of the family of my husband here in canada. i am working now and enjoying my first winter, loving every minute of my stay here. in behalf of my husband and my stepson, we thank you from the bottom of my hearts. we wish you continuous success and we will recommend you to those who needed help with their papers and they will be taken care of in no doubt. cheers! First of all i would like to say thanx to whole Universal Immigration team to help & guide me for achieving my goal & Dream “CANADA P.R\". I had achieved my goal within a year , with the help of U.I. My especially thanx to Ravi Sir & Sangita Mam for their guidance & prompt replies for the requirements. We hired Universal Immigration\'s services for migrating to Canada. Though there are so many similar immigration consultants, we preferred to go with Universal for the primary reason being their fee was very very reasonable. Once we started the process, during every stage, we could see how professional and helping their team is. Very transparent, provided regular updates during every stage of the immigration process, guided us correctly and very prompt in responding to our questions and concerns. Very very satisfied and have recommended my friends to go with them for their immigration needs. Would highly recommend Universal Immigration to anyone.